CAMILA MARAMBIO (RAIL): For the past couple years you have been thinking and writing about Gaia, and recently defined Gaia as “the name that can be given to the highly controversial figure of Nature equated with politics.” Can you speak more about this? 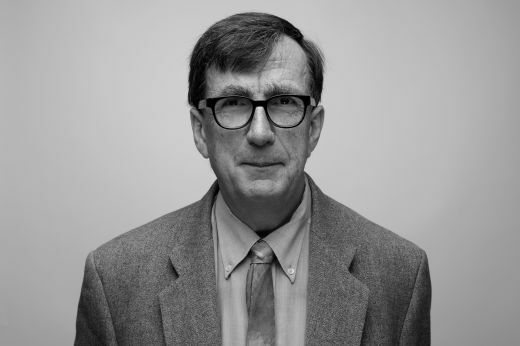 BRUNO LATOUR: Gaia is basically the alternative to modernization. For two centuries we have tried to modernize ourselves and now we have to try and come to terms with Gaia; it’s a different space, it’s a different future, it’s a different definition of what and who we are. It’s very much like modernity. It’s an all-encompassing set of values of space and time, expect it’s not the same space and it’s not the same time as what we had in mind when we tried to be modern, which we have never been. RAIL: How did you come to terms with Gaia? Could you give me a genealogy of sorts? LATOUR: I arrived from many different threads. One was the way I started: sociology and the history of science. Then I got very interested in ecological disputes, which were not yet understood as massively as they are now. In the ‘70s and ‘80s I directed lots of theses by students investigating problems with water, agriculture, etc. In all of these studies, the history of the sciences that we [Michel Callon, John Law and myself] had done were very important. The work I had done on Pasteur [The Pasteurization of France, 1988, Harvard University Press, Cambridge, Mass], for example. Then we began to see the extension. It was when instead of talking about ecological controversy we started to talk about ecological mutation that the climate really hit me. Then I got really interested in the arts. Through dance and theater I got interested in the question of what it actually means to be in this new space and time I mentioned earlier. So, it started as a subset of science studies, which is my field, then it was extended to ecological controversies and then it ended up being a sort of problem of civilization. This is when I did the exhibition at ZKM in Karlsruhe, Germany, not the first one, Iconoclash, but the second oneMaking Things Public [with Valerie Pihet in 2005], which was really a sort of preparation for all of the things we do with Gaia now. RAIL: The climate hit you? I really enjoy this image, can you say more? LATOUR: The climate hit me first while reading Lovelock [James Lovelock’s Gaia: A New Look at Life on Earth 1979, Oxford] many years ago. I have been studying controversies for a long time and through reading the newspapers I continued to think ecological controversies were just another set of controversies to be studied. I thought ecology was just another case of dispute. I did not realize there was a shift until I myself did a big study on the politics of water. I had already written on the politics of nature, which had brought me to the idea of a “Parliament of Things,” all this around the same time that all these big meetings were taking place, Kyoto and so on. So, it began to hit me that it was an essential turn. Michel Serres’ book The Natural Contract was also important, but again it really hit me when I did the exhibition Making Things Public. RAIL: What was it about that exhibition process that made this “essential turn” so evident to you? LATOUR: The exhibition was an assemblage of ways of assembling different entities. It was a dress rehearsal for welcoming Gaia, because we were addressing law, economics, science, technology, and composition. So in fact, the notion of composition came before Gaia, and Gaia came on the scene through a work I did in theater and dance. It was a dance idea. But, Gaia should not be considered an applied theory. Instead, it is a matter that vibrates in all sorts of different mediums. RAIL: We’ll get to that, but first what is this dance work that you are referring to? LATOUR: It is just a 30-second movement that I asked a dancer to perform. Some years ago, I was attending a performance and the dancer was fabulous. She was beautiful, not beautiful in any sort of canonical way, just beautifully moving. She was playing the Martyr of Saint Barthélémy. At the exit I approached her and said: “You are the only one who could actually move in the way I want.” [Laughs.] She said yes and two years later—it took a lot of time to do it—she did [The Angel of Geostory by Stefany Ganachaud, 2013]. The movement itself is that of fleeing things backwards, [he lifts his elbow and slides his hand out and backwards] like the angel of history. But by fleeing backwards you create lots of things, and then when you turn around you see these things, and you are horrified, you don’t know what to do. RAIL: Would you say this is where we are now? Stumped and horrified? LATOUR: It is an artistic way of describing a situation, but what amuses me because I am not an artist is that the movement came first. RAIL: You took Gaia seriously only while looking at dance, the climate hit you while making an exhibition, and you recently premiered a theater piece titled Gaia Global Circus. You seem to need other mediums to grapple with theory. LATOUR: I am unable to have another medium other than writing social science—anthropology, with philosophy a bit, and a lot field work. That is my medium, but I know how to assemble people who are interested in the same sort of matters. So it is not that I leave my field with my own little tools, but I am interested in bringing people together, I’m pretty good at that. I think it is useful because people are very specialized and of the tradition that theory is what people should be interested in and this is complicated. Theory is a medium, a medium like all the others, and as such it has the possibility of connecting with all the others. So the movement of the dancer is not a theory enacted. It’s when I saw her doing what I wanted her to do, that she instantiated a movement that cannot then be transcribed in another medium, which is say a theory. Actually, last year in Toulouse—and I am doing it again this year—I asked seven or eight different artists and scientists to answer the same question: Why is it so difficult to speak about Gaia? Afterwards, we compared the difficulties we had in articulating Gaia, each from our own medium. That is what I am really interested in. I think that because it is a civilizational element, Gaia is the name of the shift in the way we understand space and time anew. So, if it is not a theory applied, then it has to vibrate in all sorts of different mediums. I learned that from exhibitions, because if an exhibition is a theory it fails. So it has to resonate in the way you paint walls, the way you choose materials for holding objects, the way you do the catalogue, the way people circulate and in that sense the exhibition is of course ars total. [Laughs.] I learned a lot from doing exhibitions. I hope to do another one. RAIL: I have heard you say that SPEAP [Science Po École des Arts Politiques, the Master’s Program in Experimentation in Arts & Politics that Latour founded and directs at Science Po, Paris] itself developed out of an exhibition. How so? LATOUR: When we were preparing the exhibition Making Things Public, which was a three-year fulltime project for many people, we decided it was silly to assemble all of these tools and not make it a little institution, a more durable version of the exhibition. Finally, we thought: let’s create an intellectual school where the intellectualizing would be one medium among the others, not the only medium, not the one you have to learn. So that as a student you could actually do things with dance, or video, or cinema, or painting that would re-articulate the enigma that we were dealing with in the exhibition, which was the notion of the “Public.” With some difficulties this is what we continue to try to do at SPEAP: bring people together from different mediums, not to do art—it’s not an art school—but to vibrate with other media, including theory and the social sciences. For example, we had a group of dancers some years ago, and it was very interesting to see what we sociologists could do as fieldwork when it was mediated by the dancers, because they detected dozens of little things that we had of course not detected. In my view, the only way to renovate politics is through this variety of ways of articulating issues. Because politics is just a highly simplified format with a very limited set of reactions and attitudes. It is largely the same for science, not the real science but, the way we imagine science. So every time you try to reopen the science-politics connection you are stuck because the repertoire is so narrow, just left-right. When you hear political conversations the format is so poor. In the social sciences and in the arts, and in philosophy, there is such a rich multiplicity of formats. My definition for SPEAP is that we should use this enormous wealth of formats to redefine and reformat politics, because if politics is the art of the possible, you need to multiply the possible, and the only way to do this is to reconnect with the formats. The natural sciences are great at this; they know how to multiply the formats. RAIL: But once the formats have been multiplied, which has been going on at SPEAP every year since it was started in 2010, where do they resonate? LATOUR: So far, they don’t resonate very much because it’s very experimental. The only place it has durable impact and where it has been very influential is on the actual students of SPEAP. What we do there is so difficult to explain. It’s not art, it’s not politics, it’s not social sciences, it’s precisely an experiment in which we renew the formats with which we think about the science-politics connection, and that just doesn’t interest the masses. This is also because of the general exhaustion with what we call Politics, and it’s even worse with “politically engaged art,” When you consider that art itself has been largely separated from the rest of intellectuals it’s completely reciprocal. It is very difficult to get anyone in the social sciences even thinking that they could learn something about their work by being in connection with dancers, with visual artists. They are completely ignorant of the arts. This is why we have more artists than we have social scientists at SPEAP, but we are working on repairing that, and after that we have to remake the link with the natural sciences. In that case, we mostly need to change the idea that artists are working only in a world of subjectivity. So, we are fighting on several fronts. RAIL: If what is emerging from this experimental practice-based program are new forms of politics, does it not worry you that these forms seem only to be creating personal wealth, not communal or mass-transformation? Could that not perhaps be a symptom of these new forms? LATOUR: That does not worry me in the least, because the problem is precisely that politics is much too fast in its composition. When you begin to say O.K., politics is issue-based and each issue needs its own format, you can no longer transport the format developed for another site. Every one, every thing, every time, has to be re-interpreted and that’s what composition means, and this takes time. We don’t know what the world is made of, we don’t know what the agents are made of, and we don’t know what the exercises are, because we lost all that knowledge with politics. We are in such deep ignorance of what the world is made of and what is possible because we broke down the link between social sciences and natural sciences, between art and science, and we don’t understand what a public is because we imagined a greater public interest. So all of that has to be recomposed! To use Donna Haraway’s term, it must be composted. SPEAP is a small compost heap, so to speak. It is small, and looks not for a world effect, because that’s not the idea. The idea is to go as far as possible in this redefinition of what the public is, of what the issues are, and of what it is to re-format or study a situation. If it takes time, it is because it is just rare. When you see the state of what is called research, at least in France, in say an art school, you understand why it takes time. We have to slow down, re-localize, re-think, compose! RAIL: But as it goes with organic compost, everyone has different recipes for composting. What is yours? LATOUR: [Laughs,] Yes! The special feature of our compost heap at SPEAP is that it is packed with science studies, pragmatism, and most recently with the addition of digital techniques. RAIL: As a former student of SPEAP I would say it like this: SPEAP is engaged in the task of dismantling the figure of the public, because by deflating the public, we can also deflate the supposed competencies one needs to deal with a public issue. By making mundane the issues, we were able to practice articulating new capacities for every new matter of concern. LATOUR: Yes, deflating is something we are very interested in at SPEAP because, in France at least, the state is in complete disarray. The problem is not a “tragedy of the commons,” but a tragedy of the state. At SPEAP we take very small problems and treat them with high-intellectual intensity. What we have discovered in each case is that the state has completely failed. Every time we have reached this point—which is my absolute nightmare because it is what I call the disappearance of politics—we were left not knowing what to do. This was when we could begin to practice proliferating the possible. However, this year one of my hidden goals is to possibly find a way to extend the view of political science. If politics is already formatted, political science is now even more formatted so you need other ways to get at it. This year I am trying to invest my program more within the school, to create more spillage. To show that we are training supposedly executives and officials of state and that the idea of public good is completely absurd and nothing of the state exists anymore. RAIL: This takes back to the beginning of the conversation and the notion of Gaia as the State of nature. Is adding digital techniques to your SPEAP compost heap related to furthering this re-cognition of Gaia? LATOUR: I think that once we have sort of worked out all these things about the Anthropocene and read all the masses of things you can read on the Anthropocene and Gaia, then what it will boil down to is questions of representations of where you are located, of what the issues are, and of where you stand vis-à-vis those issues? So right now, we are having all these ideological discussion on modernism, capital, colonialism, etc. surrounding Gaia, but the question arises of how do we represent these new territories? Because people will not take a stake in an issue if you don’t know where or how they represent themselves within it. So, in that sense the digital is very important because it brings in tools. Tools that because of the very way they are framed, with all the difficulties and limits, allow lots of experts, other scientists and activists to come in and collaborate. In the case of climate—or the whole climate-popularization so to speak—you have a majority of the activists who feed on the issues by using lots of techniques, and most are digitally implemented. It’s not enough, but it’s a clearinghouse for collaborations with many, many different activities and skill sets. So, in that sense it is extremely important. In SPEAP’s case, we are preparing a counter-climate conference to take place in May in Paris, and it will be a sort of fair of alternative tools to try to re-invent the issue of how we can represent Gaia. I mean you can’t have a representative government without representation—if you don’t have tools to represent it, it stays in the mind but then people forget. And since Gaia is a redefinition of space and time, it’s as important as the invention of a map. You really have to reinvent what it means to be on-soil, and soil of course is not a department, it’s not a county limit. So, what shape does it have? How do you connect to it? We have to shift from cartographic projections, in the traditional sense of the word, to connections and then find how to imagine those and other connections. This is a key issue here, which is why I think all of the work in representation done by the arts, the sciences (not only the digital), computers, graphic visualizations are very important and this year is going to be very crucial in that respect. Because what seems to be happening is that people are starting to saying “O.K., it’s finished, we cannot do anything about it [climate change].” This dreadful shift from negationism to abandonment needs to be counteracted by new forms of representation. Camila Marambio is an independent curator and a private investigator. She spends half her year in Chile, where she directs the research and residency program Ensayos, and the other half on the road looking for adventure.